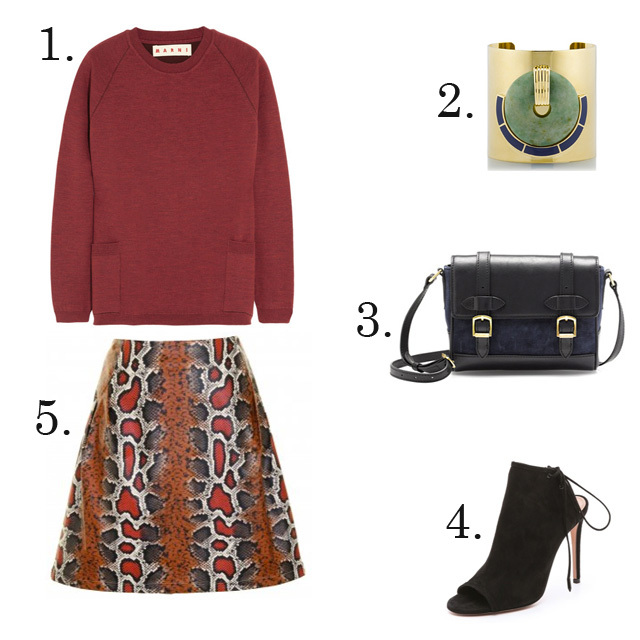 Years ago I used to have a crazy snake print skirt like this from Zara. In fact, I had two--one in pink and the other in grey. And just the other day I was wishing I still had them as they're back in line with fall's printastic movement. 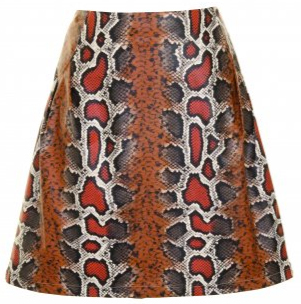 This patent python skirt could easily sub in as a replacement--and be a good running-around-during-New-York-fashion-week statement. Love that skirt! Great find!